That's what we'd all like to be sure of, surely? That there's no arsenic in our beer. Unfortunately that wasn't always true. The great arsenic poisoning scare of 1900 must have been pretty scary if you were a dedicated beer drinker. It took a while to pinpoint the source as invert sugar that had been made using no food-grade acid. Many had died in the meantime. "LOCAL BREWERS AND THE BEER POISONING SCARE. 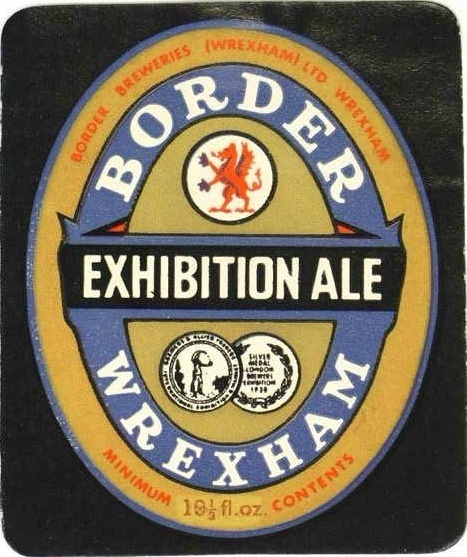 It will be noted by our advertising columns that Wrexham brewers have taken occasion, consequent upon tbe scare as to the presence of arsenic in beer, to assure the public of the absolute freedom of their beers from all injurious or deleterious ingredients, and a glance at what each firm has to say must convince all that they take great care to put only a pure article on the market. Mr J. A. Chadwick, of the Burton Brewery, says: "My ales and stout are brewed only from the finest and best materials, and are guaranteed absolutely pure," and this statement is backed up by a certificate from Mr Alfred N. Palmer, F.C.S., who states respecting two samples of the beer he examined, "That neither of them contains the faintest trace of arsenic." The old-established and well-known firm of Messrs C. Bate and Son "guarantee their ales to be up to the high standard they have hitherto been, and they have been tested proof against any impurities." The firm add "that they have had no occasion to withdraw one single barrel of beer owing to any deleterious matter." Messrs Beirne, of the Albion Brewery, submitted samples of their "bitter beer," "mild ale," and "best mild ale" to Messrs Norman Tate and Co., the well known analysts, of Liverpool, and the certificate of the firm shows that after having carefully examined the three samples they "find them all to be free from arsenic." The Wrexham Lager Beer Company also submitted samples of their beer to Mr Granville H. Snarpe, F.C.S., the eminent analyst, and he certifies them to be "perfectly pure in composition and free from objectionable admixture." Mr Sharpe adds that special and searching tests were applied in order to ascertain whether any contamination by arsenic or other poisonous metal was present, but no trace of any such could be detected. After these specific and verified statements there should surely be no apprehension as to the purity from poison of local beers of all descriptions." Wrexham Advertiser - Saturday 15 December 1900, page 8. Good to know the Lager was safe, too. As SIBA have adopted the term 'local beer' for promotional purposes perhaps they should add 'arsenic free' to it. Ed, sounds like a good idea to me. I couldn't give a toss if beer elsewhere is full of arsenic, as long as my local beers has none. Why not have the very best for the New Year? Was Porter adulterated in the 1870's? What should be the diet of a wet nurse? What's the difference between Porter and Pils?